statuses – The model statuses for which make the plot. Default [“Infected”]. Plot the comparison on file. percentile – The percentile for the trend variance area. Default 90. Below is shown an example of Diffusion Prevalence description and visualization for two instances of the SIR model. 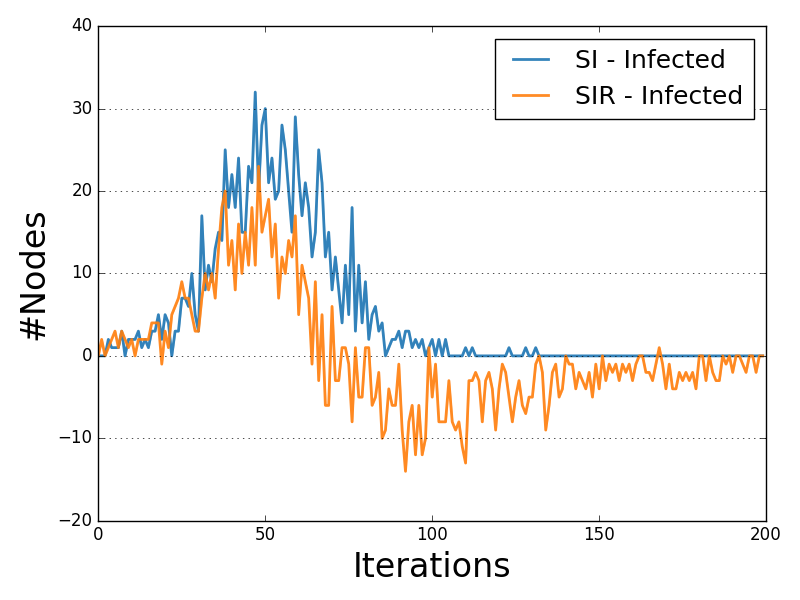 SIR-SI Diffusion Prevalence Comparison Example.